You’ve probably heard all about the common causes of breakouts — hormones, touching your face, not caring for your skin properly — but if you’ve addressed these and you’re still struggling, what’s next? In fact, there are some incredibly common, but lesser known things you might be doing to cause your own breakouts. Here are some lesser known acne causes that you might not have thought about. A simple, but easily forgotten cause of breakouts is in fact your pillow case. 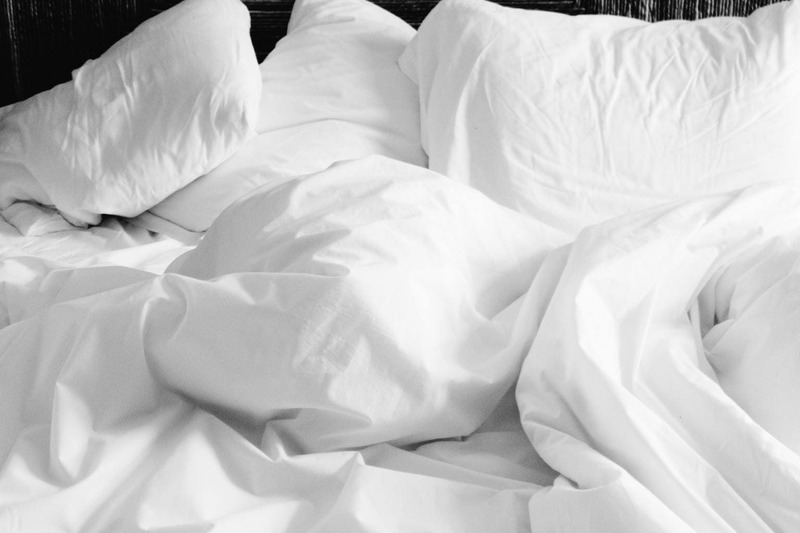 If you don’t change your pillow cases often, the buildup of dirt from your skin and hair can transfer back to your skin and result in breakouts. Even though you wash your face at night, oils from your face and hands, and hair products or makeup can coat your pillow case, especially if you tend to take naps or lay on your pillow to lounge after a long day. An easy solution to this problem is to launder your pillow cases every 2 or 3 days and to not touch your pillow when you haven’t washed your face yet! You might not realize that hair products can be a common culprit for breakouts. 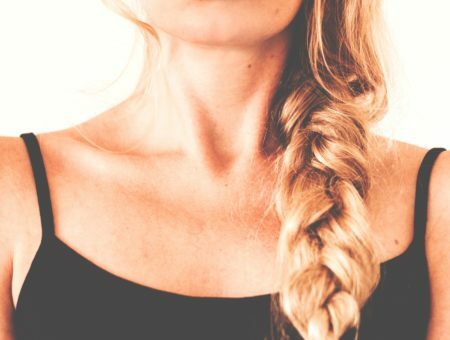 From your shampoo and conditioner to your hair styling products, these can all be to blame for the sudden breakout you’re having. In particular, sulfates can be problematic for acne sufferers. 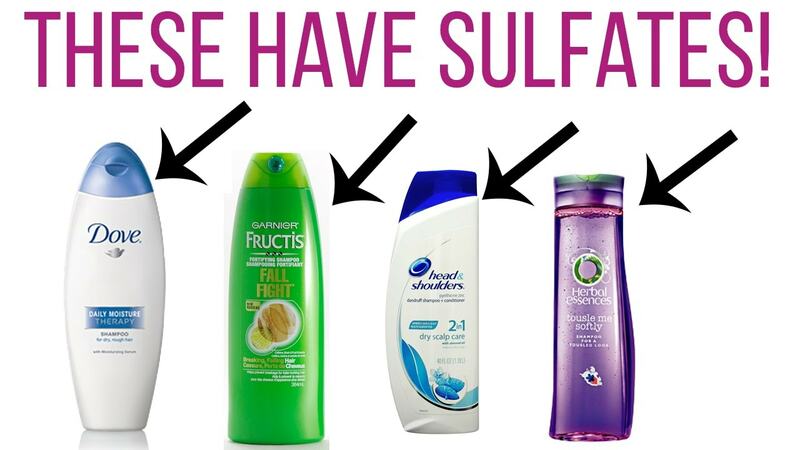 Sulfates are the cleansing agents that are present in the majority of shampoos and conditioners, and they can seep into your pores during your showers, resulting in clogged pores on your back, chest, face, or hairline. Even if your product is sulfate-free, it can still cause breakouts due to any number of added ingredients. Breakout culprits can include dry shampoo, hairspray, shine sprays, and hair oils. A basic solution to this problem is to tilt your head back or to the side when you’re rinsing the shampoo or conditioner out of your hair. This will give it minimal contact with your face. Also, when you use body wash or soap on your body, you should do so after you’ve washed your hair. That way, you can get rid of any excess pore clogging ingredients that could be leftover on your back or chest from your shampoo or conditioner. 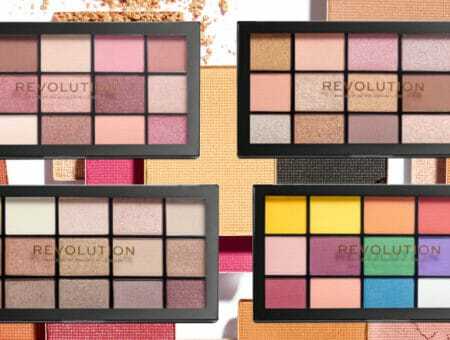 Finally, take note of any new products you’ve been using if their use coincides with an unexpected breakout. Then try cutting them out to see if they’re causing your acne. We all know that our diet is an important factor in having clear skin, but what some people might not know is that the spicy food that you have been frequently eating the past few days can in fact be the culprit behind your breakout. Cosmopolitan explains that, “spicy foods often contain tomatoes and peppers, which contain acidic lycopene that can be an irritant to some people [..] throwing off their skin’s pH levels and triggering breakouts”. A solution to this is to take a break from spicy foods for a month and see how your skin reacts. 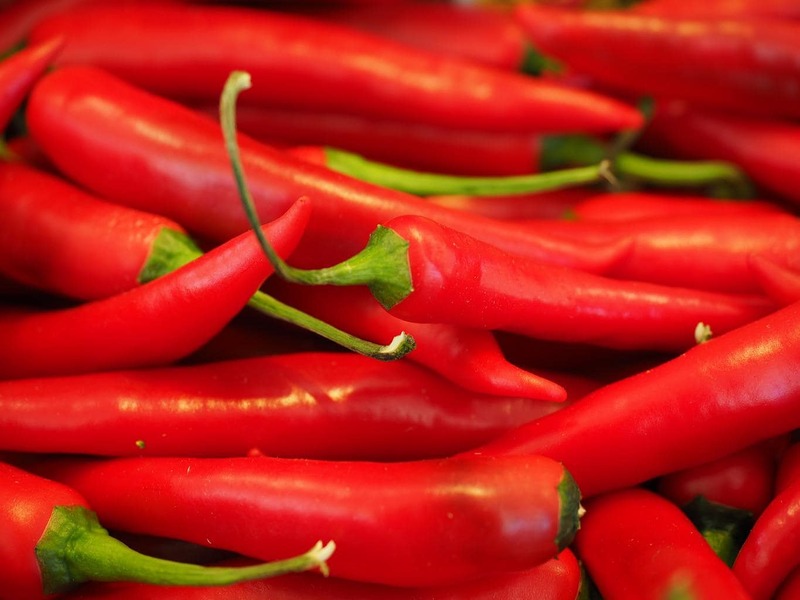 If you do have an allergic reaction to spicy foods, you’ll find your skin clears up when you omit them from your diet. When you add them back, you’ll likely find that little whiteheads or blemishes will appear around your chin or mouth. Once you know whether these are a problem for you, you can tailor your diet accordingly. While we all know that stress can cause health problems, many people don’t know that acne is one of them. Stress triggers acne because of the cortisol that is released when you’re under pressure. Cortisol stimulates our oil glands, which can lead to clogged pores if there is an overload of oil production. This one is fairly simple to fix: Take action to relieve your stress! Taking action is the one and only cure when it comes to being stressed. Whether it’s by working out, meditating, or just taking a break and closing your eyes, do what you need to do to ensure you’re not drowning in stress. Taking a break during a stressful time is good for your mental, emotional and physical health and will keep your acne at bay. 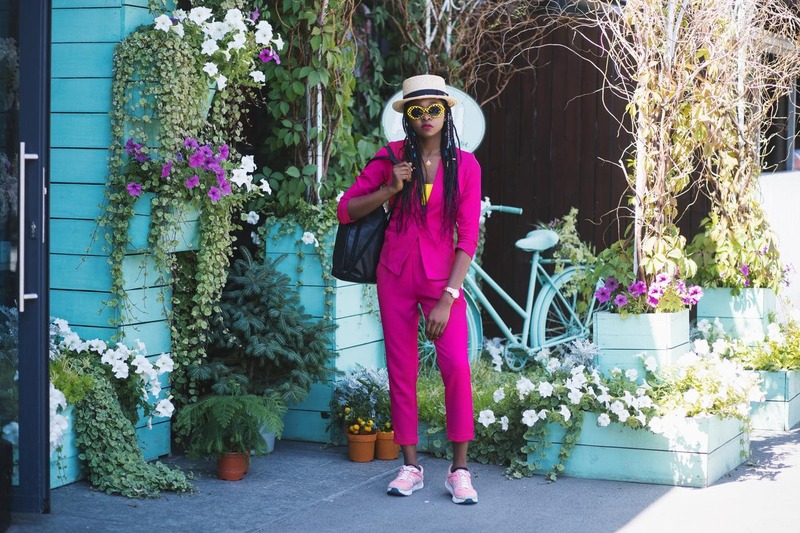 If you’ve been noticing that you get a line of pimples across your hairline and you’re a fan of hats, it’s likely that your hat has something to do with your breakouts. This is gross, but when you wear a hat, sweat, perspiration, oils and/or makeup products can get stuck to it and sink in to your skin. 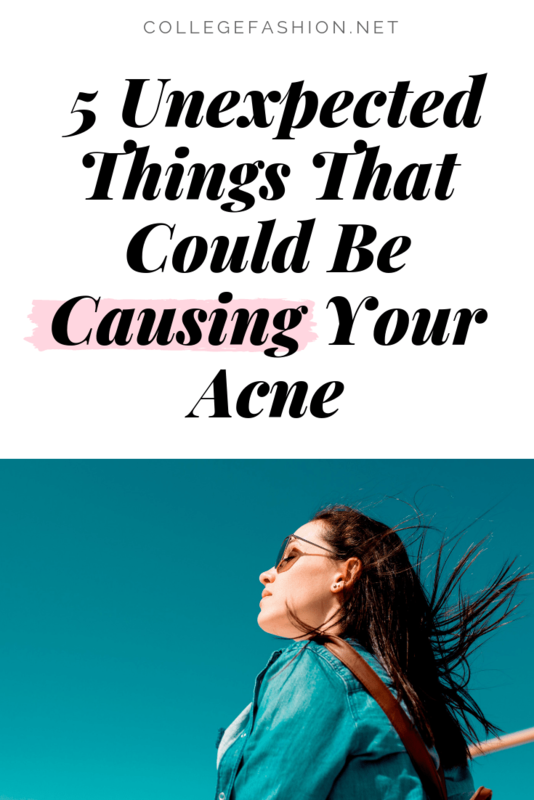 Everyday Health explains that, “Anything that rubs or constricts your skin is a potential acne trigger and can cause a type of acne called acne mechanica… Add sweat and a little dirt to the equation, and you’ve got a perfect recipe for an acne breakout. Even clothing that fits tightly or a backpack that causes friction on the skin can cause acne”. To fix this, try to moderate your hat-wearing if you’ve noticed breakouts along your hairline. And make sure you launder your hat! I’ve noticed that people tend to not pay attention to their hats when it comes to doing laundry, but you should still make sure to always wash your hat after couple uses. It will soon become a habit and your face will thank you for it. Have you heard of any of these causes or any other causes most people fail to notice? Let’s help each other out in defending ourselves against pesky breakouts because we all have been through them and know the pain! Let us know in the comments below!